Period Of 2014–2018». 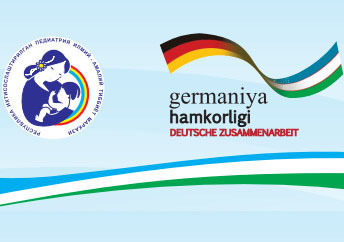 It is also part of the Health Programme, «Reproductive Health /Maternal and Child Healthcare» as financial cooperation between Federal Republic of Germany and Uzbekistan. The Conference programme will include plenary and Sectional Sessions, Satellite Conferences and Master Classes. The Organizing Committee has put great effort into inviting speakers, health care managers, international experts and internationally recognized scientists in the field of healthcare and pediatric science. Heads of offices in Uzbekistan and experts from the United Nations agencies including the World Health Organization, UNICEF, UNFPA; and KfW Bank of the Federal Republic of Germany, the German Society for International Cooperation GIZ and others will participate in the conference. Association of Pediatricians of Uzbekistan. 09.00–17.00 Master Class №1 – Operation: Meso Rex bypass. 08.00–09-00 Conference participants registration and acquaintance with exhibition on achievements of the health system in the field of maternal and child healthcare in Uzbekistan during Independence years. Deputy Prime Minister of the Republic of Uzbekistan Ikramov A.I. ; Minister of Health of the Republic of Uzbekistan Alimov A.V. ; Academician of Science Academy of Uzbekistan Daminov T.A. ; Director of RSSPMC of Pediatrics Akhmedova D.I. ; Representative of UNICEF in Uzbekistan Robert Fuderich; Project manager of healthcare projects of KfW in Central Asia region Tom Woyack; Director of the department of medical care for children and obstetric services of the Ministry of Health of the Russia Baybarina E.N. Martin Weber, Child and adolescent health program manager at WHO regional office for Europe. 14.00–14.20 Ways to reduce infant mortality: the experience of Russia. 14.20–14.40 Pediatric healthcare management in Belarus. 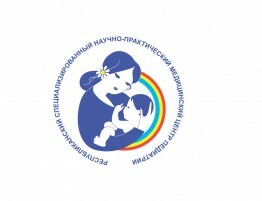 14.40–15.00 Achievements and prospects of maternity and child health in Kyrgyzstan. 16.15–16.45 Providing medical care for children in Uzbekistan: achievements and prospects. 15.30–15.45 Minimal invasive surgery in children. 16.15–16.35 Modern opportunities of endoscopic surgery in neonatalogy. 17.10–17.25 Endoscopic treatment of vesico-ureteral reflux in children. 09.45–10.05 Current problems of the respiratory system in children. 10.30–10.45 New approaches in the treatment of bronchial asthma in children. 09.30–09.45 Renal venous hypertension as a complication of portosystemic shunting in children with prehepatic portal hypertension. 10.00–10.15 The strategy of surgical repair for various types of hypospadias in children. 11.15–11.30 Stenting of post-burns stenosis of esophagus in children. 09.00–09.30 Quality of care for mothers, children and adolescents – a conceptual framework. 09.30–10.00 Academic international cooperation: problems and opportunities. 11.15–11.35 KfW bank healthcare programs: perspectives in cooperation. 11.50–12.10 Involvement of the World Bank in improving child health in Uzbekistan. 09.40–11.40 Nutrition of an infant and his future health. 1. Molecular mechanisms of the «master» and virus and its impact on the development and course of chronic hepatitis B in children in family cases Аbdulаеvа F.G., Inoyаtovа F.I. 2. Modern position of the diagnosis and treatment of metabolic syndrome in children with asthma Аzizоvа N.D.
3. Parameters of oxidative stress and hemogram predicting the state of adaptation in low birth weight infants. Akramova Kh.A. 4. Influence vitamin D deficiency on the clinical course of celiac disease among children Аlievа N.R. 8. Chronic mixed viral hepatitis (B + C, B + D, B + C + D) in children. Treatment methods Vаlievа N.K., Inoyаtovа F.I. 9. The role of mitochondrial dysfunction in chronic enteric failure in children Dustmukhаmеdоvа D.Kh. 11. Complex diagnostics and treatment of flatfoot in children. Zаkirkhodjаеv М.А. 12. Etiological factors in the development of complications of liver cirrhosis in children Inogаmovа G.Z., Inoyаtovа F.I. 14. General anesthesia under promedol in children with trauma. Ismаilovа M.U. 15. Hepatotropic action of phytic acid compounds in toxic hepatitis (experimental study) Mirzааkhmedovа K.T. 16. Modern conceptions of diagnosis and treatment of children with acute pneumonia associated with TORCH infection Mirsаlikhovа N.Kh. 17. The effectiveness of the differentiated treatment of children with nosocomial pneumonia Movlonovа Sh.S. 18. Current approaches to diagnosis and treatment of chronic bronchitis and bronchiectasis in children. Musаjаnоvа R.А. 19. Non-traumatic intracranial hemorrhage in infants. Nаsimov S.T. 20. Diagnosis and treatment of «H» type anorectal malformations in girls Otamurodov F.
23. Echocardiographic indications for surgical treatment of ventricular septal defect in infants Sаitаzizov Kh.B. 25. Congenital ileus as a common intestinal malformation in children Sattarov J.B.
26. Diagnosis and treatment of children with mycoplasma pneumonia associated with herpes infection Таdjikhаnоvа D.P. 27. Innovative technologies, low-intensity laser radiation, non-invasive quantum therapy of respiratory diseases in newborns Toshmukhаmedovа B.U. 28. Characteristic features of lifestyle and health status of children and adolescents Ubаydullаevа S.А. 29. Features of adaptation of children with intrauterine growth retardation during early childhood Umаrovа L.N. 30. Modern diagnostics and surgical treatment of difficult ulcers in children Urmonov N.T., Akilov Kh.A. 31. Integrated diagnosis and treatment of osteoporosis in children with orthopedic disorders of the lower extremities. Usmаnоv Sh.U. 11.40–13.00 Surgery: Thoracoscopic correction of congenital diaphragmatic hernia.